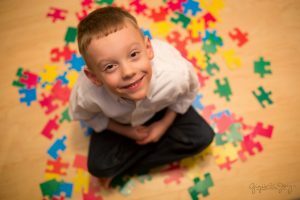 In a study published this week in the journal Molecular Autism, researches said they have developed a first of its kind test to spot damage to proteins in the blood that can distinguish those on the spectrum. “Our discovery could lead to earlier diagnosis and intervention,” said Naila Rabbani of the University of Warwick in England who led the study. Currently, autism is diagnosed through clinical screening and evaluation. Though the developmental disorder can be accurately flagged in children as young as 2, many are not dingoes until after age 4. Treatment is considered most successful the earlier it begins. Researchers in the current study analyzed blood and urine samples from 38 children with autism and 31 typically-developing kids aged 5-12. They found chemical differences between the samples from the two groups and then used artificial intelligence to develop an algorithm to separate children with and without autism. Those behind the small study are now looking to replicate their findings in more children and determine if the test can pick up on kids at the very early stages of autism. This is not the only potential autism biomarker test in the works. In 2015, researchers reported high accuracy rates from a blood test they were working on in children as young as 12 months. And that same year, another study showed that salvia may hold promise in identifying children on the spectrum.